Reliance CPSE ETF Further Fund Offer 3 (FFO 3) ipo is going to hit the market on 28 November 2018. The anchor investors bidding is on 27 November 2018. Reliance CPSE ETF FFO 3 to start from 28-Nov-18 and close on 30-Nov-18. Note: Reliance CPSE ETF Anchor Investors bids 5.5 times overall around 13,300 crore. 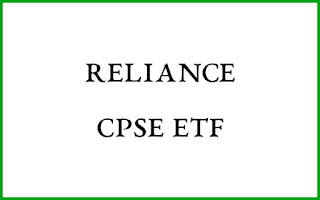 Reliance CPSE ETF includes ONGC, NLC India Ltd, Coal India Ltd, Rural Electrification Corporation Ltd, Oil India Ltd, IOC, Power Finance Corporation Ltd, NBCC (India) Ltd, Bharat Electronics Ltd, NTPC Ltd, SJVN Ltd. Reliance CPSE ETF is managed by Reliance Nippon Life Asset Management Limited. Discount: FFO 3 *4.50% discount is applicable to all investors. Which date I allotted my unit in my demate account. allotment on 14th or 15th..
whether there will be some profit or not. Should i sell the [email protected] 24 ?